Plan to bring a guest or two tomorrow to Nampa Rotary at Brick 29. 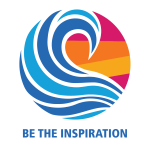 We are going to share why we are in Rotary and the impact we make in our community and our world. We have a thriving, vibrant club that has a servant heart. It is time to spread the word and help our friends Discover Rotary. Looking forward to seeing all of you with your guests tomorrow. COMMUNITY PROJECTS - WE NEED YOUR HELP!! 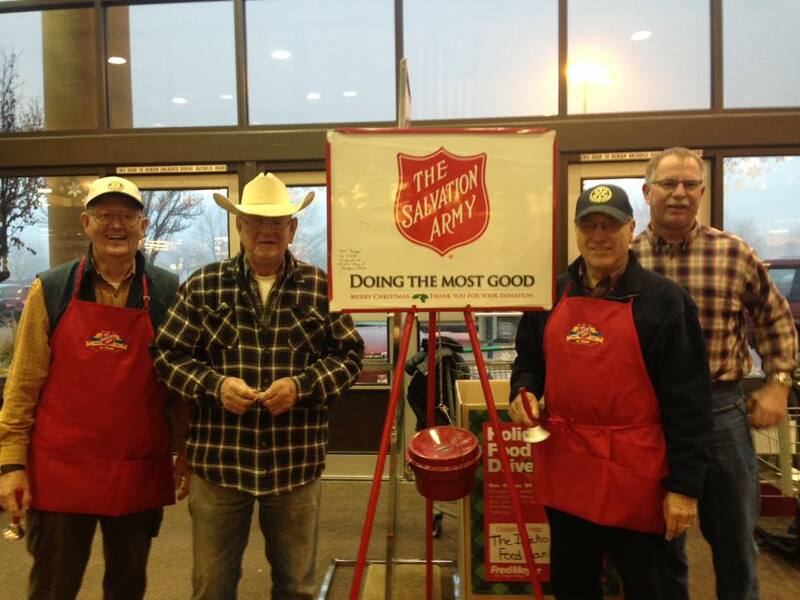 Bell Ringing for Salvation Army 9:00 am to 7:00 pm at Fred Meyer (Both Doors). 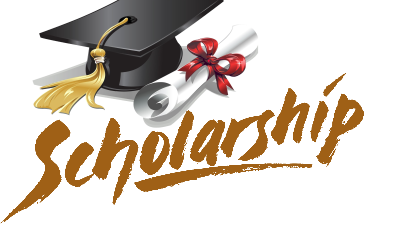 The District 5400 Scholarship application for the 2017-2018 academic year is now taking applications. View instructions here and the application here. This scholarship will award $1,000 to a college freshman during the 2017-2018 academic year who meets the scholarship criteria established by the District Scholarship Committee and maintains full time status. The recipient must reside in Rotary District 5400 and plan to attend a community college or university located within the state of Idaho. The recipient cannot be a child or grandchild of a Rotarian. The scholarship deadline is October 1. This is the third year of this scholarship with the previous recipients being MaKia Perez of Rigby attending Idaho State University and Addie White of Boise (Boise High) attending the University of Idaho. Do you know that more than 775 million people around the world over the age of 15 are illiterate, and over 60% of the world’s hungry are women and girls? Rotary: making a difference through local and global grants to feed the hungry and teach others, particularly women, to read. This helps heal the hearts of many a community around the world. Your generous donations to the Rotary Foundation provide the funds that are empowering Rotary around the world to “Get’er done”. So, go to Rotary Direct now and sign up to give a monthly gift of learning. 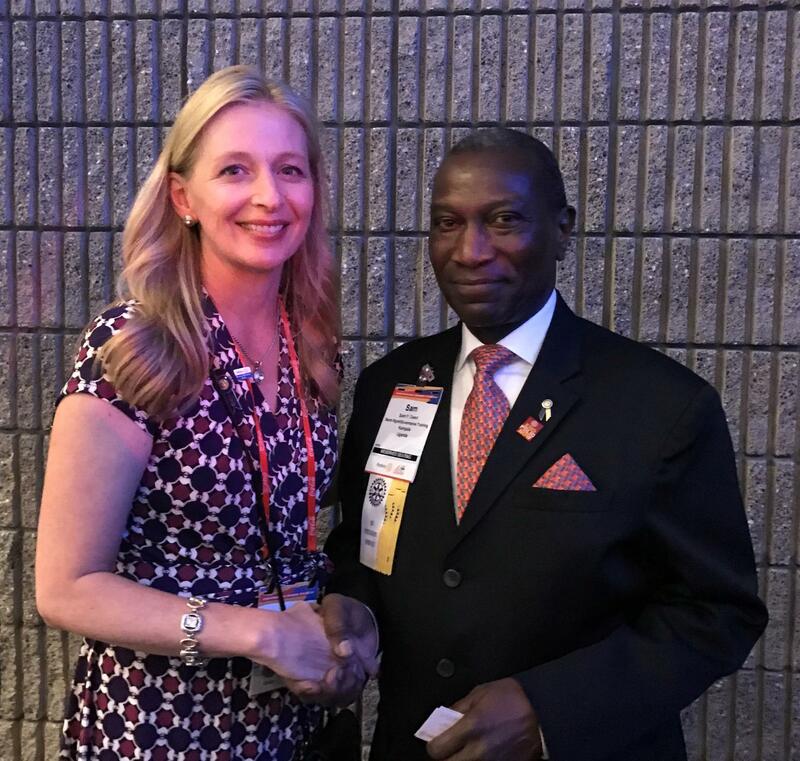 On July 13th, 75-year-old RI President-Elect Sam Owori passed from complications during surgery. of many accomplishments during his service was growing the number of Uganda Rotary clubs from nine to 89 during his time as District Governor. Sam served as the executive director of the African Development Bank, managing director of Uganda Commercial Bank Ltd and director of Uganda Development Bank prior to his recent position of chief executive officer of the Institute of Corporate Governance of Uganda. His passion for Rotary was indisputable, and his influence will no doubt transcend the years he served as a role model for Uganda and the world. The RI nominating committee will meet in August to interview candidates to take Sam's place. They have requested that candidates from the group Sam Owori was selected from, representing from Europe and Africa, resubmit their name for consideration (approximately 7-8 people). Our event this year is Wednesday, July 19th at Ridgecrest Golf course. Please reach out to your network of friends, family and businesses that would be interested in supporting this great event. We need your help in spreading the word and getting our community involved. We are still recruiting for sponsorships and teams. All opportunities are still available. Contact Dan Walters at 3915homes@gmail.com or call 208.287.5450 with any questions or concerns. Let's make this another great year! 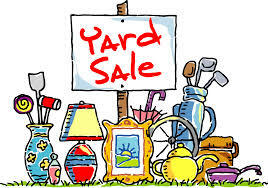 The Hope House is planning to have a yard sale at the corner of Orchard and Middleton on June 30th and July 1st. Plan to stop by and support them if you possibly can. Our Annual Banquet is a great event in which the baton is passed from the outgoing President to the incoming President. As well, we honor a non-Rotarian community member for their work in our community. Join us at the Ford Idaho Center Rodeo Club this Tuesday evening, June 20th. No-Host Bar will Start at 6:00 P.M. Dinner will be served at 6:30 P.M. Dinner will be a bit more casual this year. Spicy Sausage or Vegetarian Calzone, Italian Salad and Tiramisu. This event is free to the Rotarian and $20 for your guest. Please be prepared to pay for your guest at the event so we do not have to invoice you. Board Meeting this Wednesday, May 3rd. ATTENTION: TUESDAY MAY 23RD MEETING WILL BE AT THE OLD CENTURY CLUB BUILDING!! We will have our Tuesday noon lunch meeting at the old Women's Century Club house. Come see the changes happening at this historical house. Brick 29 will be catering our lunch. We are doing a book drive on Tuesday! Please bring books to donate (including children's books) to our Rotary lunch meeting this Tuesday. Thank you to Lynn Caba for leading this project! 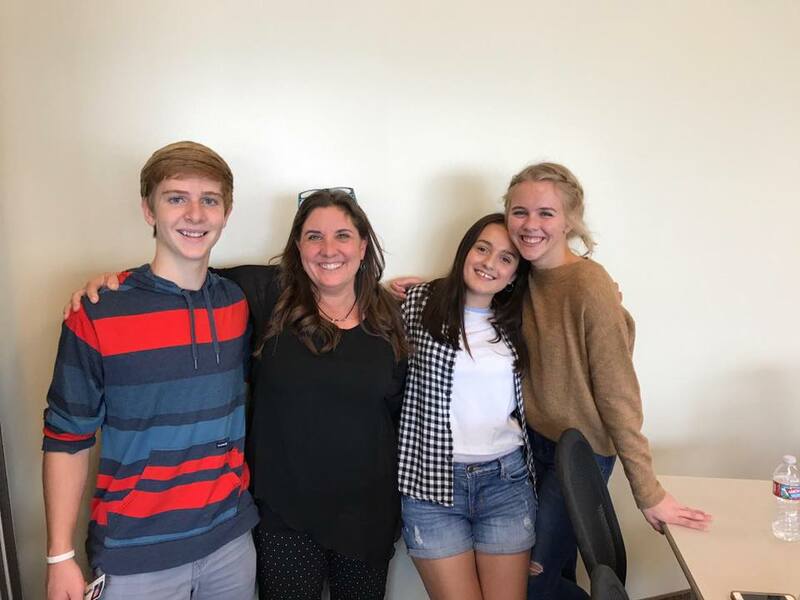 Peppershock produced a video with District Governor Nominee Jennifer Deroin on the top reasons you should attend District Conference in beautiful Sun Valley May 19-20. Please take a moment to view this video by DGN Jennifer Deroin regarding Membership relevance and vibrancy. We just had our President Elect Training several weeks ago and the new President Elects set their goals for the upcoming year 2017-2018. One way to meet the goals of expanding membership is to survey your members to determine their level of engagement in your club and what changes may be necessary to enhance the Rotary experience. Here is a link to a survey to use. Feel free to connect with Marie Baker if you have questions on how to conduct the survey electronically. Take the time to reach out to those in your club who are interested in membership and have them register for the Club Training in Twin Falls or Boise. We will be discussing recruitment, engagement, and retention of Rotary members. Today our Club began a new quarterly tradition! 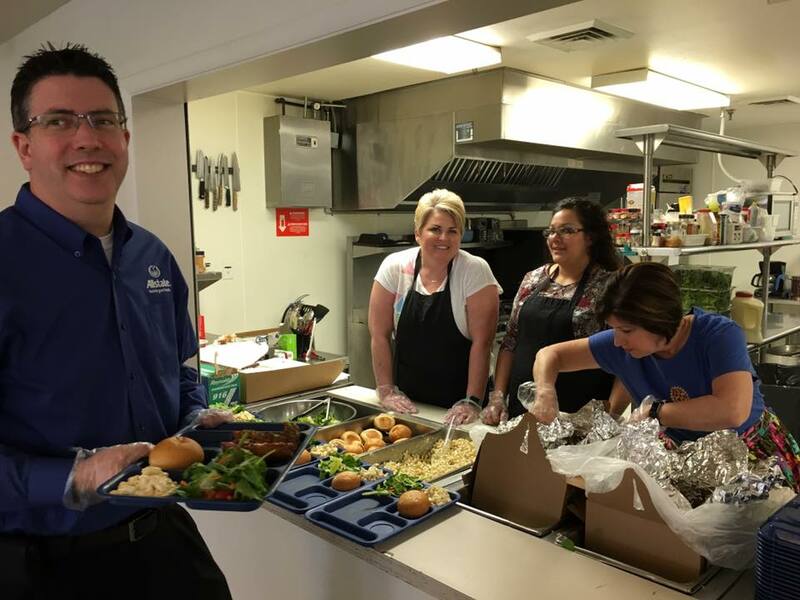 Thanks to the food prepared and contributed by the Albertsons our Club members servedThe Salvation Army Nampa Community Family Shelter patrons a wonderful lunch along with our Rotarians. We all had a great time! Save the date of May 4th for the second Rotary Night at the Zoo. The decision to host a second zoo night was based partially on the fund raising success of last year's event which brought in $6,800 for a global grant supporting Gorongosa Restoration Project in Mozambique but in larger part on a desire to recreate a night of Rotary fellowship amongst the flora and fauna of Zoo Boise which draws over 350,000 visitors annually. It's an ideal opportunity to show family members, coworkers and anyone interested in Rotary an opportunity to see first hand some of the projects supported by local Rotary clubs. This year's Zoo Night will be organized somewhat differently with Rotary clubs Boise Sunrise, Boise East, Boise Southwest, and Boise Metro cosponsoring the event. 50% of the proceeds from the event will go the ZooTeen Program which provides local teens experience with educating Zoo Boise visitors as well as experience with teaching, leadership, and public speaking. The other 50% will go to the Rotary clubs sponsoring the event. Same as last year tickets will be $20 for adults and $10 for youths. Price of admission includes feeding the giraffes and walking the wallabies. The event starts at 5:30 and runs until 9:00. Zoo concessionaire operations will be open with a special menu. 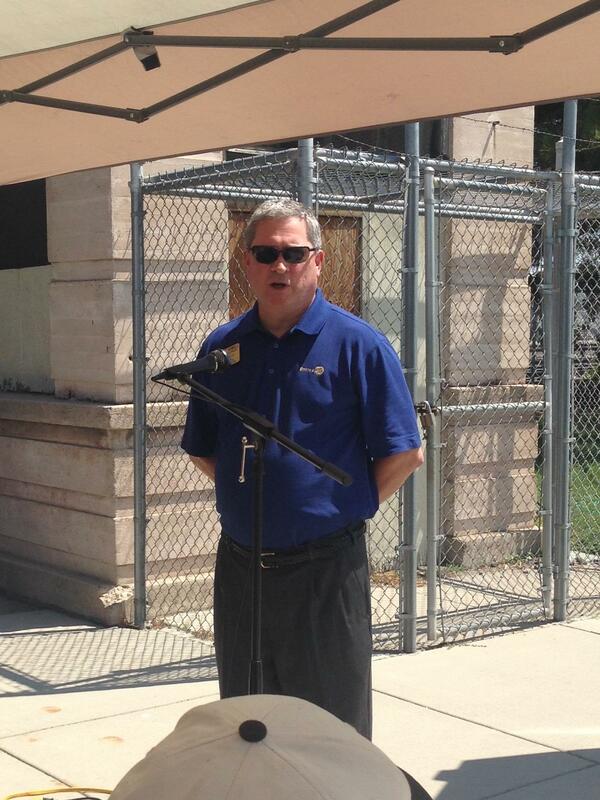 Zoo Boise Director Steve Burns will provide an update on zoo news, events and operations. This year's event coincides with downtown Boise's First Thursday activities. And it's an opportunity to view first hand the progress of the work underway for the Rotary Grand Plaza being built immediately across from the zoo's entrance. By now you should have received your District Conference Raffle Tickets! The winner gets a $4500 AAA Travel Credit. There are also some lesser prizes. Coolest thing? Whomever sells the winning tickets also wins the AAA Trip!! 1. Support Youth Exchange2. Support Club Attendance at District Conference (Clubs that sell tickets and send Rotarians to the Conference receive funds)3. Provides matching funds for Rotarians starting a new Paul Harris. REMINDER: WE WILL NOT HAVE OUR LUNCH MEETING THIS TUESDAY, JUNE 20TH, AS WE WILL HAVE OUR ANNUAL BANQUET THAT EVENING AT THE RODEO CLUB! At the Friday lunch, this year’s celebration will start strong with the Club Showcase demonstrating all the good work that happening in each of our communities. Make sure your club is represented! We also have “Rotary Inspires Me” talks in the afternoon. This is an opportunity to share your Rotary story. Friday evening, we will have a great group of speakers demonstrating the value of partnerships in Rotary projects. Greg Carr, an Idaho naive, will give an overview of his efforts to rehabilitate the Gorongosa Park in Mozambique. 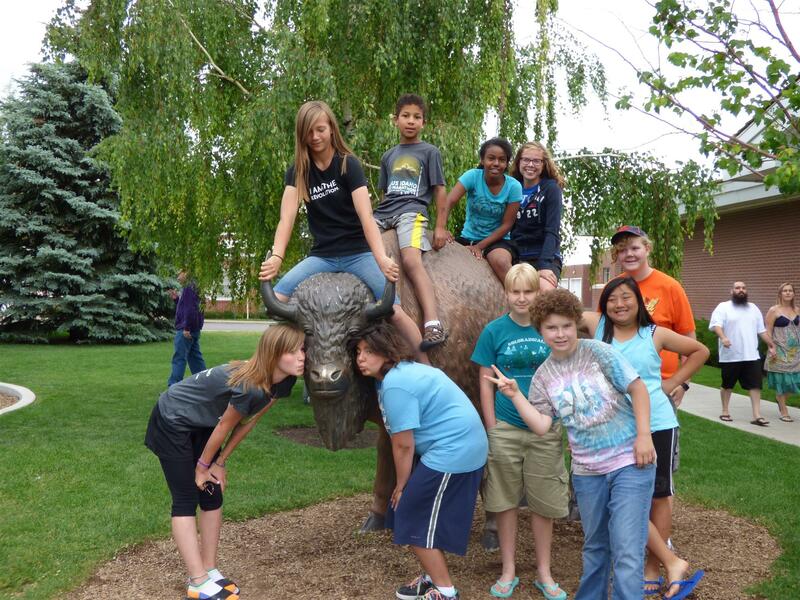 Steve Burns, Boise Zoo Director, will share the Zoo’s efforts to support the Gorongosa Park. Boise Sunrise will give an overview of a District project to support the area around the Park. We have our exchange students and RYLA students front and center to begin Saturday. Greg Podd has also agree to provide some insight into Rotary International based on his experience as Rotary International Vice President last year. There will be time for your questions. Dr. Bob Lupton, a New York Times’ best-selling author, presenting at lunch on Saturday. His book is the “Toxic Charity’ and his presentation will certainly change some of our thinking. Please join me and bring a Rotarian from your club to “Celebrate the Next 100 Years of Service” on May 19-20 in Sun Valley. 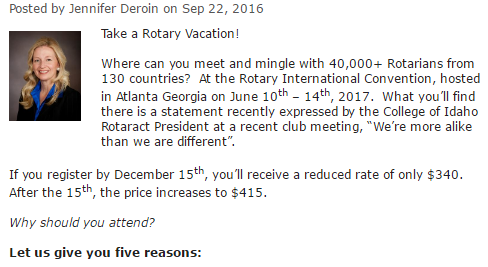 You can register at the www.rotary5400.org. Take advantage lower priced registration until April 17. ROTARY LICENSE PLATES A "GO"!! Remember the petition we all signed last year, asking the Idaho Legislature to approve Rotary license plates? Well, it passed the full Senate last week! Dave Shaw, who spearheaded the effort, reports, "Now it must go before the house and that is a heavier lift. We need all Rotarians to call their representatives in the Idaho house and support S1070." Let's make it happen!! ROTARY LICENSE PLATES A "GO"! SHOES THAT GROW GOES TO ATLANTA! With support from the Rotary Club of Nampa, club member Kenton Lee will have a booth for The Shoe That Grows at the 2017 Rotary International Convention from June 10-14 in Atlanta. Kenton and his team struggled through rejection from shoe companies and failed attempts at prototypes, but after 5 years of hard work, they found a solution. At the international convention, Kenton’s booth will be at the Friendship House. 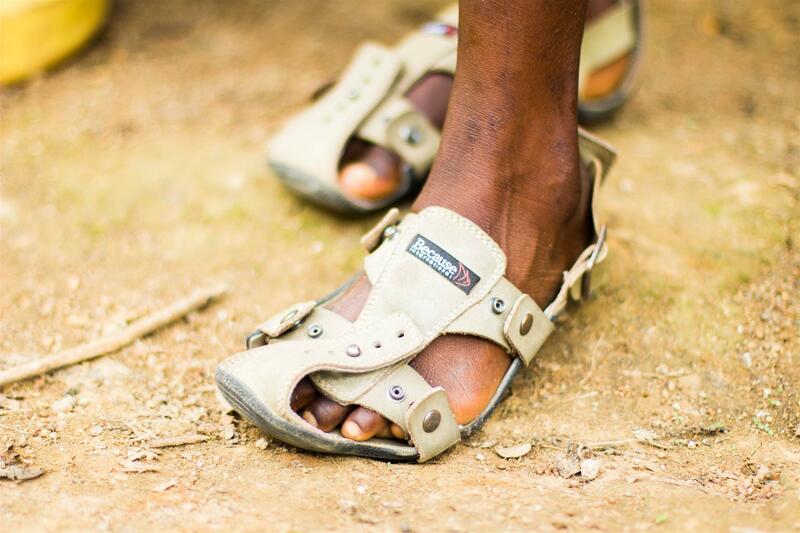 To learn more about The Shoe That Grows, please see https://theshoethatgrows.org/. Kenton is available to give club presentation about the organization. You contact him at kentonarthurlee@gmail.com or 208.989.8867. Applications and brochures are available on the District Website. 48 OF US (SO FAR) ARE GOING TO ATLANTA! Did you know that 48 Rotarians from Idaho are already registered for the Rotary International Conference in Atlanta? Would you like to join them to celebrate 100 years of the Rotary Foundation? 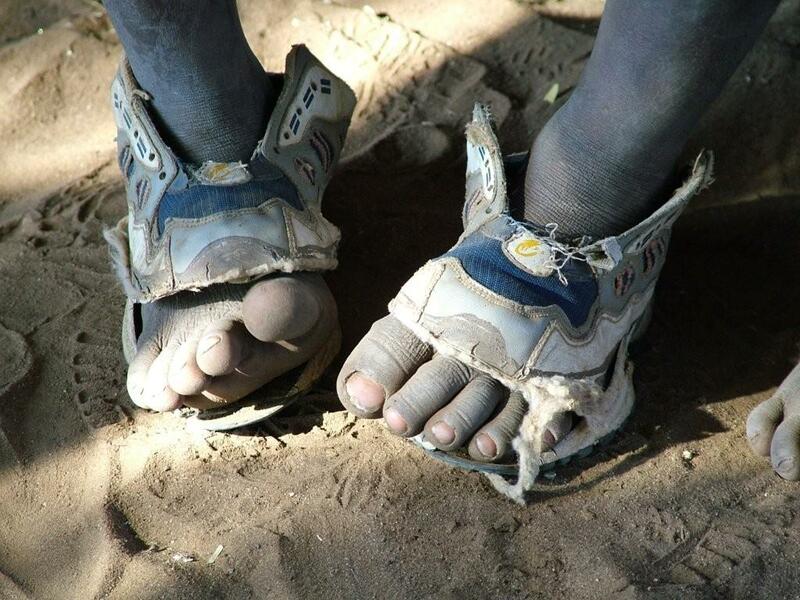 Did you also know that Nampa Rotarian, Kenton Lee, Founder and Inventor of The Shoe That Grows will be in the House of Friendship, showcasing his social solution? Consider joining us in Atlanta, June 10th through the 14th to celebrate all things Rotary, and then be ready to come home and celebrate 100 Years of Rotary in Idaho, in Boise on June 22nd and 24th. 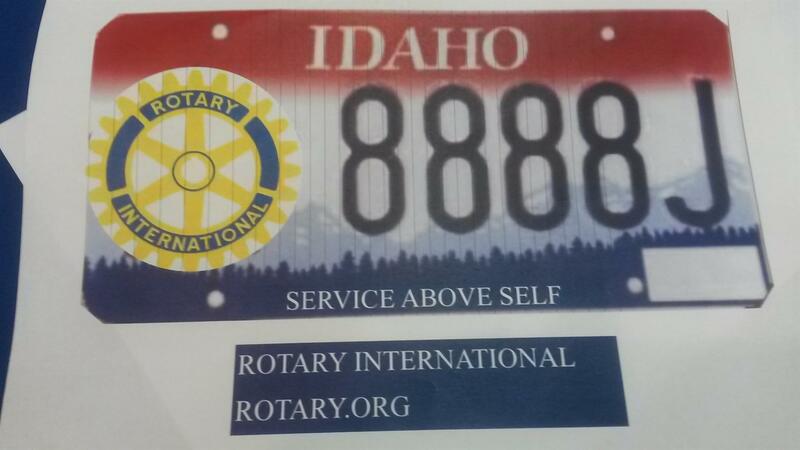 We are close to getting legislative approval for an Idaho specialty license plate with the Rotary logo. This will be a great way to increase visibility for Rotary and there would also be some funds that come back the the organization (to RI, to the district, and to our club foundation). Can you help us get support for this? 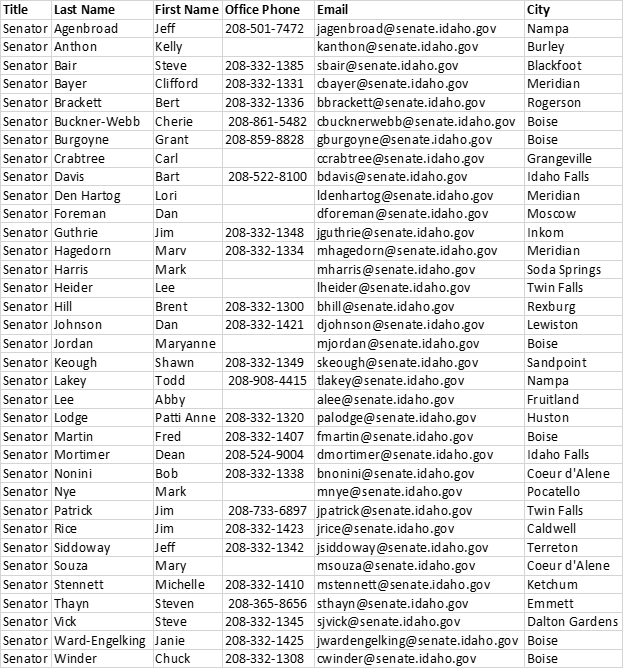 Please take two or three minutes to call your state senator and urge him or her to vote Yes on Senate Bill 1070. Hello Senator ______, my name is ________, I’m a Rotary member associated with the _______ Rotary Club. The reason for my call/email today is in regards to Senate Bill 1070. This is the legislation aimed at creating a Rotary Specially License Plate. The bill should be before the Senate in the next few days and I would appreciate your “yes” vote on this bill. Thank you for your support. Friday, March 3rd, is the Fred Christensen Recognition Day at the Nampa Train Depot at 11:00 a.m. Fred's family, son Marc, son Eric, and wife Dottie, all plan to attend. A check from the Canyon County Sunrise Rotary Club in the amount of $1,000 will be presented to Larry Cain of the Canyon County Historical Society for the Nampa Train Depot--maintenance and repair along with a beautiful plaque honoring Fred Christensen. Fred was a member of our Nampa Rotary Club for 20 years, and we hope everyone in our club will mark the date on their calendar and be able to attend. RELAY FOR LIFE CHAIRPERSON OR CO-CHAIRS NEEDED....IS IT YOU?? Relay For Life will be June 9th & 10th at Caldwell High School this year. We need one or two people to head up our Nampa Rotary Relay For Life Team....will you help?? Please see Rhonda VanOrder to help with this wonderful event. Please mark your calendars and plan to attend “A Light in the Window” Celebration on Friday, March 10, 2017, at the Nampa Civic Center from 6-10 p.m.
All of the services provided are done on an as-needed basis and determined by the advocate working with the client. Come and support this event and find out more about ‘A Light in the Window.' Look for more information in the coming weeks. 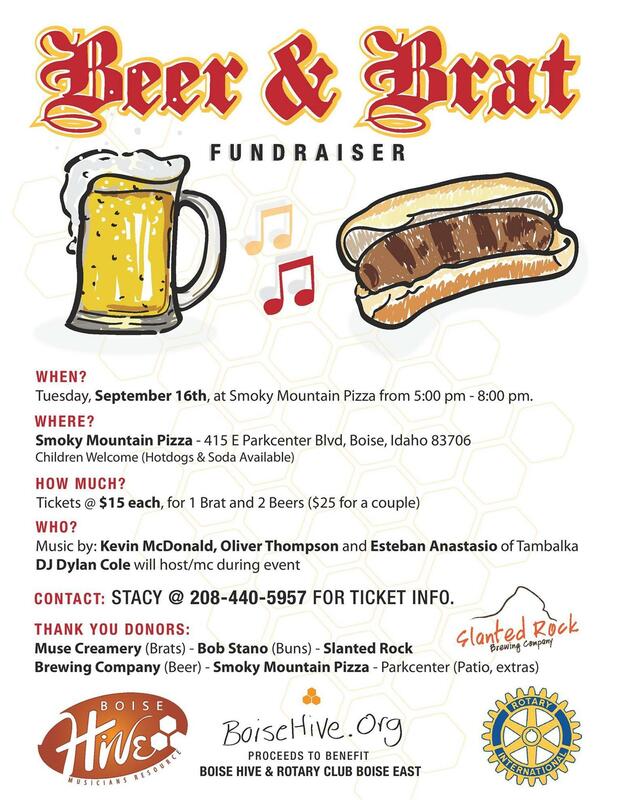 If you would like to purchase tickets as part of the Nampa Rotary table, please talk to Rhea! We want to help support this great event! 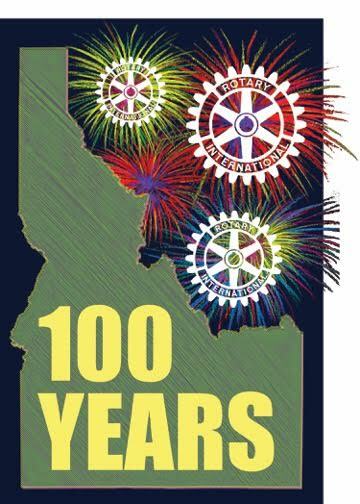 Celebrate 100 years of Rotary in Idaho on June 24th! Get your tickets now! If you want to sit at the Rotary Club of Nampa table at this event happening at the Boise Centre East Ballroom on June 24th, be sure to let Rhea Allen or Jennifer Deroin know you've purchased your tickets, and we can make sure you're sitting with or near us! 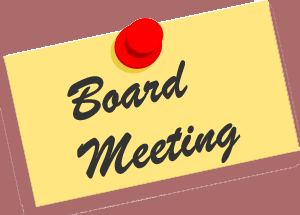 Attention Board Members: Due to weather conditions causing a couple board meeting cancellations, please plan to stay after our regular lunch meeting on Tuesday for a special board meeting. We have a few very important items we need to discuss. Thank you! SIGN UP NOW TO HELP AT MEETINGS!! Your help is needed! Please sign up for the following meeting duties through the end of February. 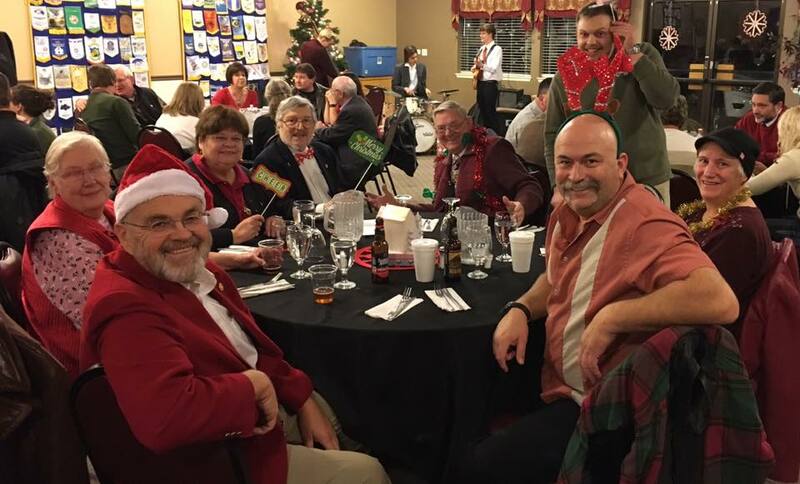 Here are a bunch of fun pics from our annual Christmas party last week. 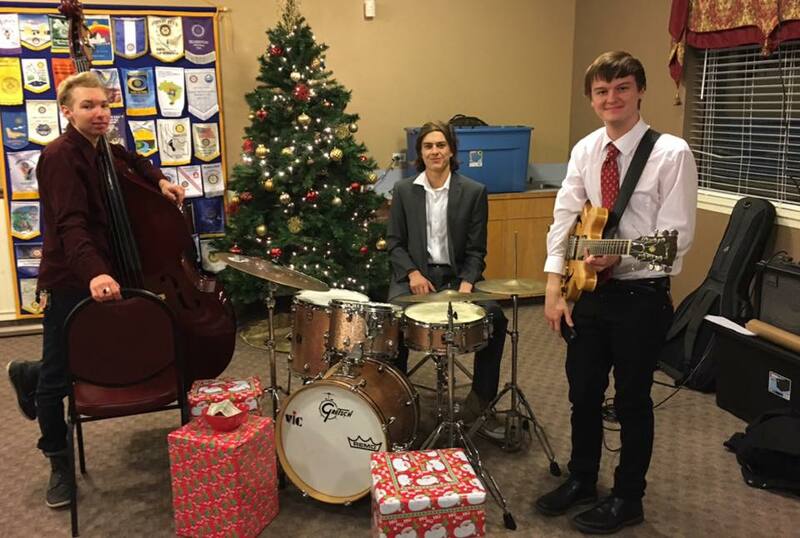 A wonderful time was had by all with a live jazz band, Christmas trivia with prizes from Flying M Coffee/Concert Garage (host of trivia night every Tuesday at 7pm), a nice dinner, an "elfie selfie photo booth," and an amazing dessert auction raising money for a great cause and beautiful decorations and cookies galore! Well done to our fabulous Christmas party subcommittee! 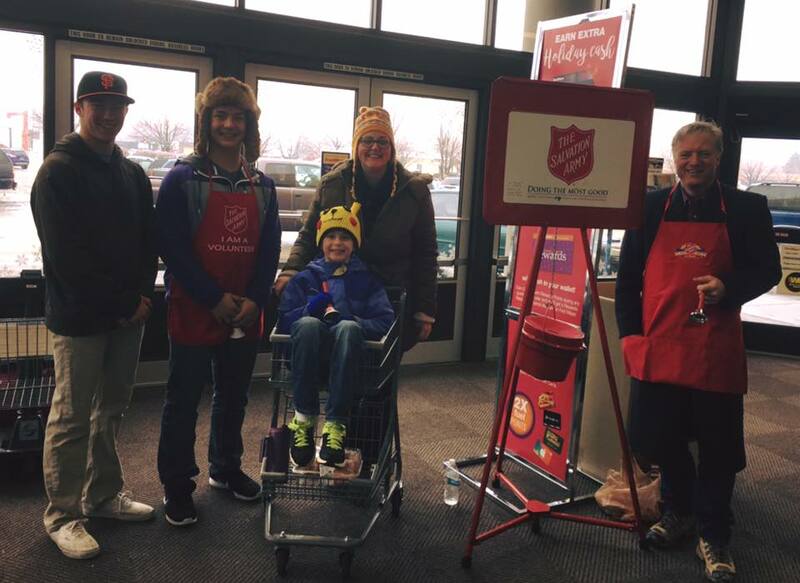 Our Nampa Rotarians were out ringing those Salvation Army bells on Saturday at Fred Meyer. No doubt we will beat the Kiwanis!! 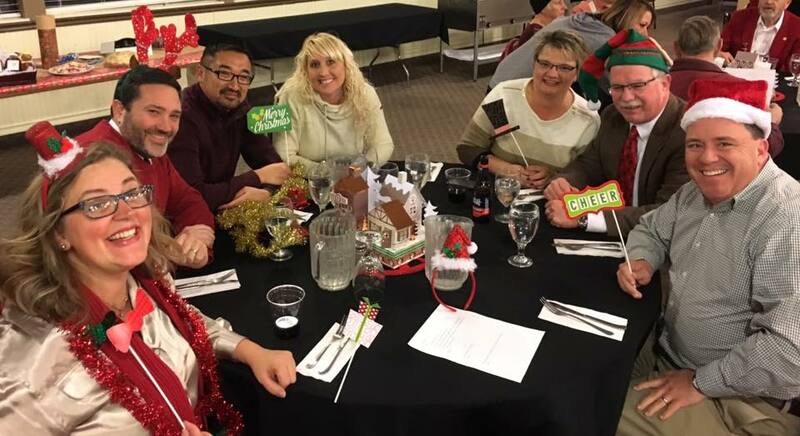 So proud of our club's support of the Canyon County Festival of Trees in support of the Meals on Wheels programs in Nampa and Caldwell. 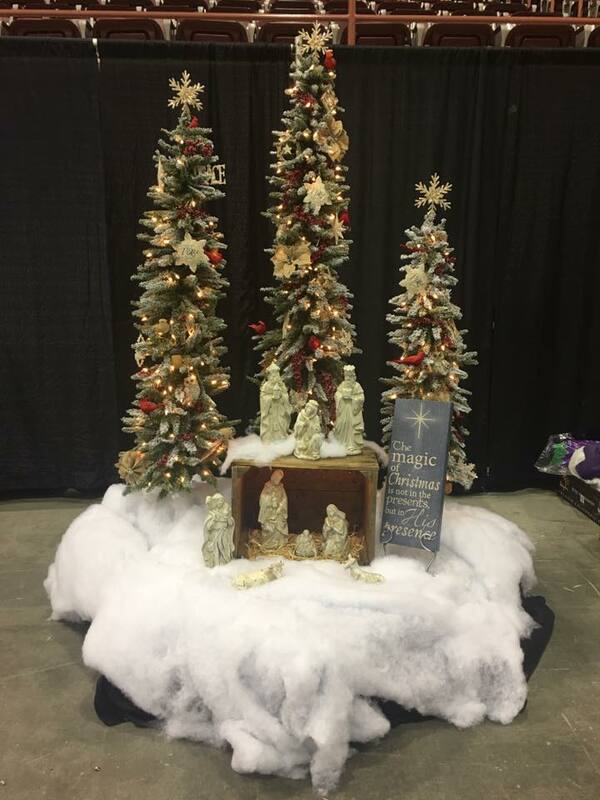 This trio of slim trees was decorated by Lynn Caba, Vickie Holbrook and the Chris Jensen family. SMITHSONIAN WATER/WAYS - CALL FOR WATER STORIES! Online Writers Forum for Water Stories! Writing may be in the form of an Essay, Short Story, Anecdote, etc. Please share the relevance water plays in your life and the lives of your family and friends. You may include a photo or illustration with your writing submission. Writing submissions should be 1,000 words or less. Photos or Illustrations that relate to your writing, welcome. Submitted photos or illustrations may be printed or copied for display during the Writer’s Showcase. Tell us of your time relaxing and play in or around water. Share the significance of water in your faith, your personal well-being, and your religious experiences. These may be personal to you or you may represent your community. Each day we drink water, bathe in water, flush water, irrigate with water, wash with water, and more. People live where there is available water. Present your recollections and interactions with water. SATURDAY, DECEMBER 3 – Writer’s Showcase! The Death Rattle Writer’s Festival & The Cabin are hosting an event where writers will be invited to share their Water Stories. All Writers are Invited to Come to this Event! Please visit our website for updated information. As you know, next year we'll celebrate "One Hundred Years of Rotary in Idaho", starting with the Boise downtown club in June. A special logo for the year's celebration has been unveiled. It was designed by Jeff Leedy of the Boise club. Carla and I are just about done with our Club visits. It is bitter sweet ending. We have driven about 12,000 miles since July 1. 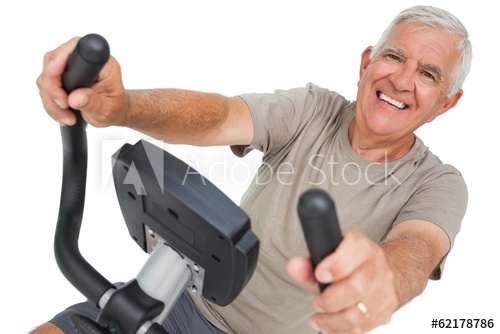 I am happy to stop driving, but the experience visiting all the clubs is truly wonderful and difficult to describe. 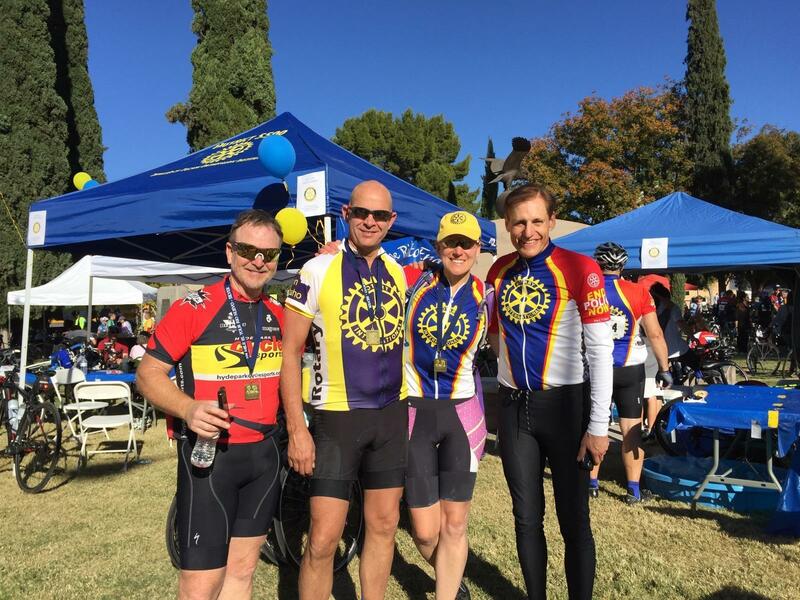 We have met 100’s of Rotarians each month that anyone would be proud to call their friend. We have been warmly welcomed in every location. 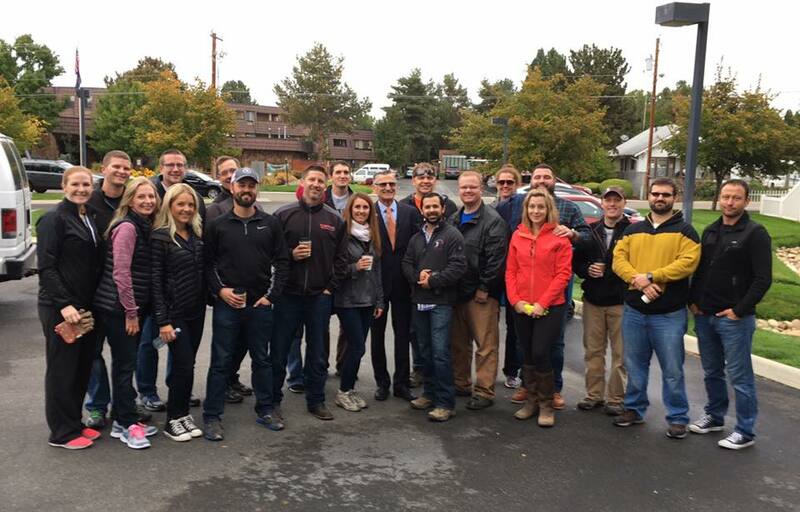 We have learned more about Idaho and all of its communities. I am amazed at all the things that each club does to support their community and make it a better place for everyone. Thank you for the wonderful experience and I will always remember your kindness to me and to all those in your towns that need help. November is Foundation Month. This is the time when we reflect on all the good the Rotary Foundation has done. We are celebrating the 100th Anniversary of the Foundation this year and it will culminate with a celebration at the Atlanta Convention in June. Foundation giving has grown over the years and I want to make certain that I thank all of you who give generously to the Foundation. Much of the growth in giving has come from a smaller and smaller group of Rotarians as membership has declined in our District. When we look at the Foundation, we must all consider the need for more members to help with the giving. So the Foundation and Membership are tied together. One of the necessary things we must do to grow membership is to increase our Public Image efforts. The more people know about Rotary, the more members we will have and the more members we have, benefits the Foundation. This is my convoluted way of demonstrating that Membership and Public Image are all important and directly impact the Foundation. 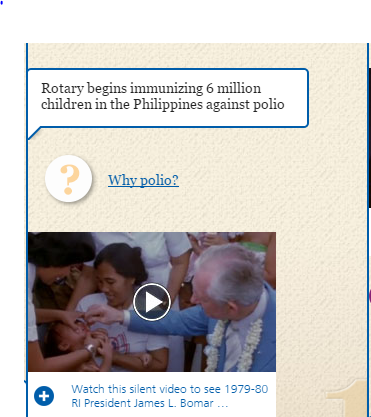 Please support the Rotary Foundation—the engine of Rotary!!! 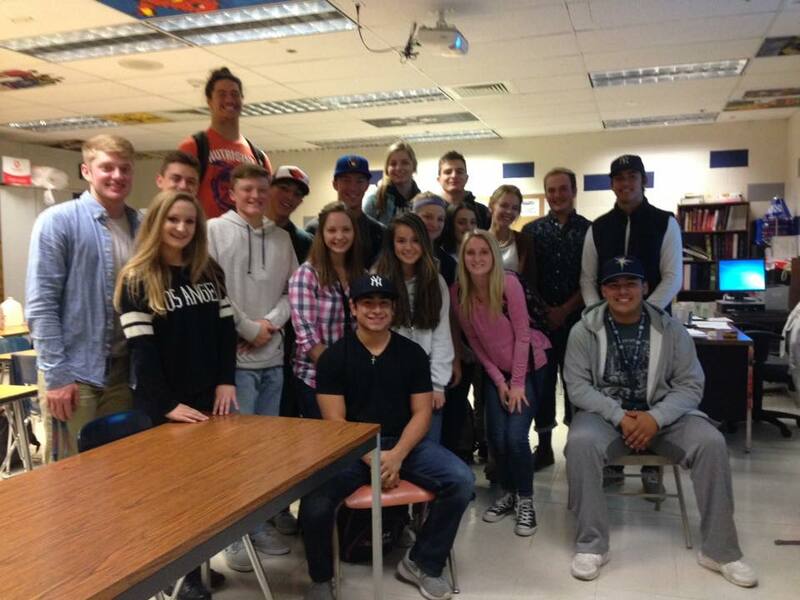 Skyview Interact Club! Leaders making a difference! 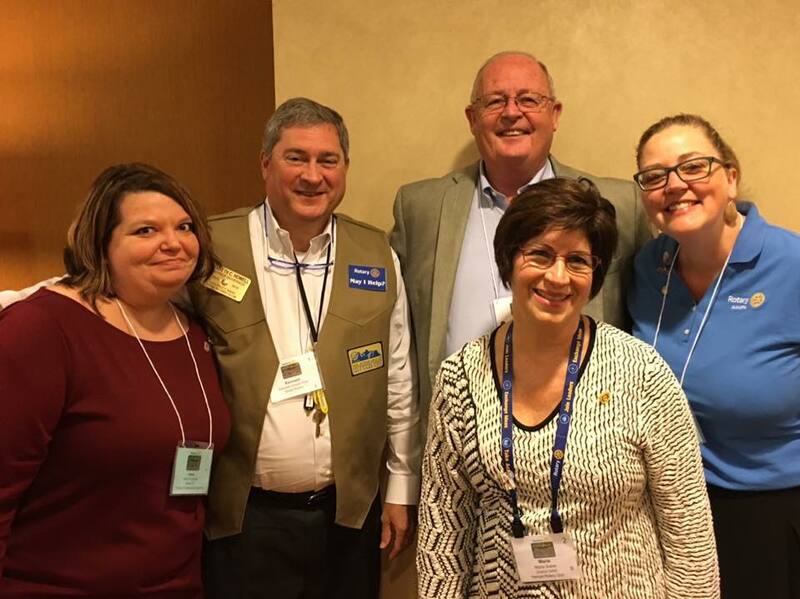 A few of our awesome Nampa Rotarians (along with 800+ Rotarians from our zone) have been participating in the Rotary International Zones 21b and 27 Institute and the Young Professionals of Rotary Zone 21b-27 Summit in Salt Lake City, Utah. 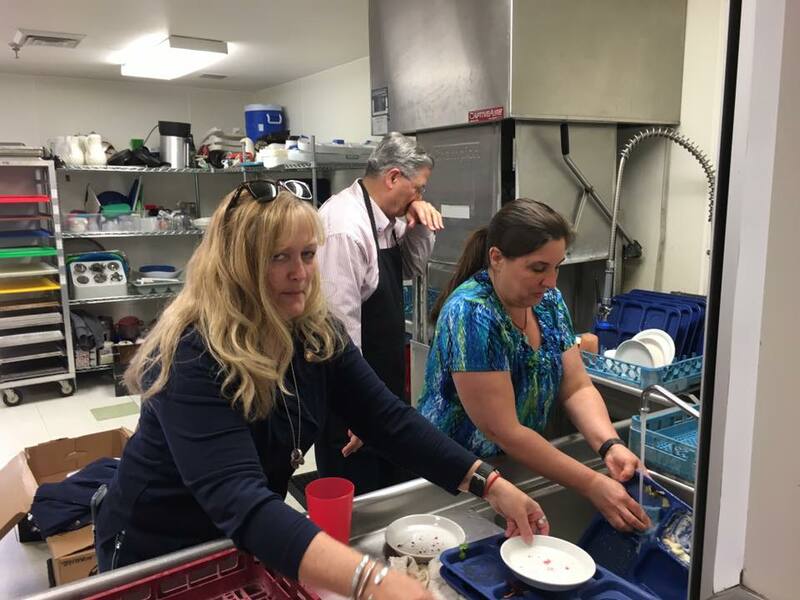 They are "serving humanity through Rotary." It's like a mini international convention, filled with incredible speakers, fellowship, and invaluable training, actions, tools, and activities to accomplish change! On Tuesday, December 20th, RE/MAX Executives will be hosting an after-hours event for Rotary members from 5:30-7:30pm. Hors d’oeuvres will be served along with wine & soda. 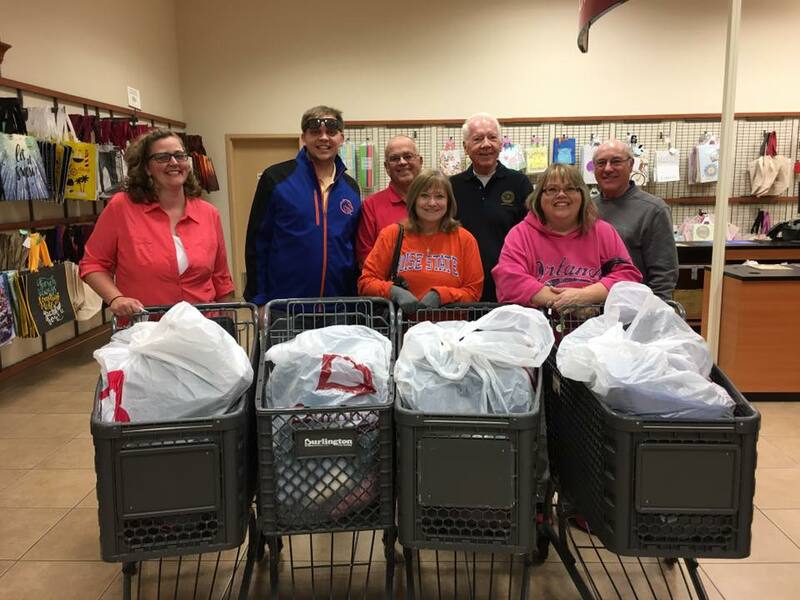 Nampa Rotarians purchasing "coats for kids" at Burlington Coat Factory for The Salvation Army Nampa Idaho. JB Miesegaes is chairing this project and doing a great job! You can still bring coats to our meeting on Tuesday. 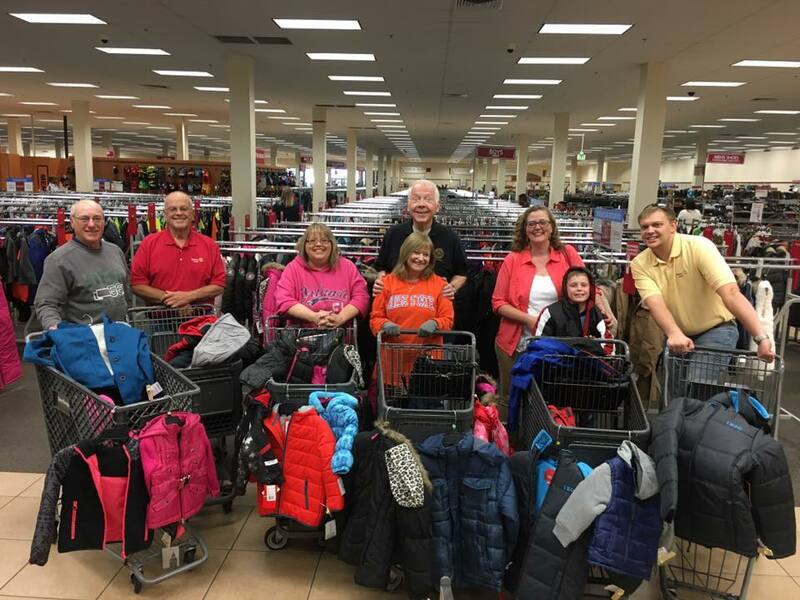 Let's keep our local kids warm this winter! 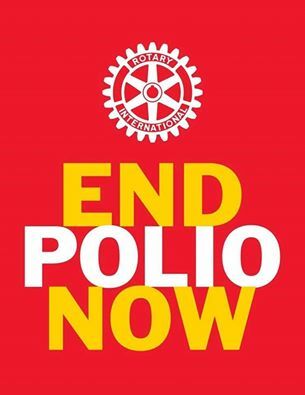 We are pleased to join the Rotary Club of Canyon Sunrise from 5-7 pm Oct. 24 at the Nampa Public Library to raise awareness about World Polio Day. Learn more about the need to eradicate polio with a walk in downtown Nampa. Dr. Hasty will share the mission, vision, and progress in the development of Idaho's First Medical School. 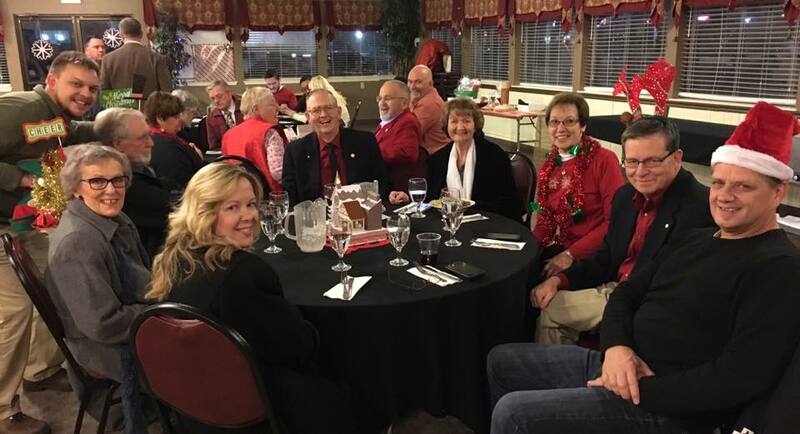 What a wonderful evening of fellowship, fun and amazing community support for The Salvation Army Nampa Idaho at their annual dinner and auction event! 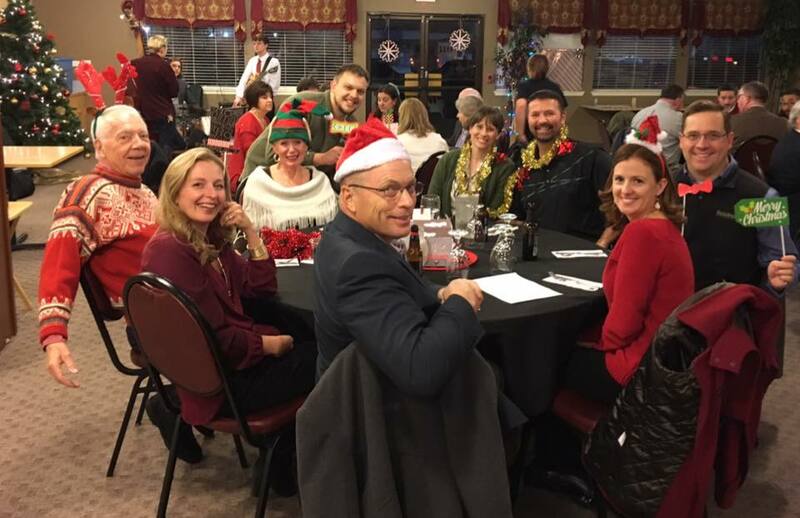 Thank you to David Vauk CPA for sponsoring the Rotary table and to our fabulous Public Image Committee Chair Vickie Holbrook for decorating and orchestrating the table! *please note this photo was pre-approved to post, all children have image release forms on file at their school. Calling all old working laptops and iPhones! Have a laptop that is a few generations old but still works great and you want to see do some good? Or an old iPhone lying around that you’re no longer using and don’t know what to do with? Semilla Nueva’s field team will put them to excellent use! Why we need working laptops: Our field technicians, all lifelong farmers, are going back to school with generous funds from Semilla Nueva grantor the InterAmerican Foundation. They are taking computer classes to learn to create reports and tools that will help us reach as many farmers across Guatemala that we possibly can with better crops to change the face of malnutrition. They just need access to their own computers, and preferably laptops so they can travel with them when working with partners from diverse communities across the nation. On the office side, our team has been working hard to program, promote, and finance our efforts in the field. Some of our fellows and staff have had their computers turn off various times, despite multiple fixes. We are currently launching a biofortified seed breeding program, allowing us to make sure we have commercially competitive seeds, and then innovatively marketing the seed to farmers in the biggest corn producing regions, who provide the majority of corn to the rest of the country. We cannot do this without working laptops to use at meetings in the office, the field, and at partner sites! Why we need iPhones with decent cameras: The smartphones our Semilla Nueva team uses have connected us through group messaging so that everyone can have access to information, which has been crucial for efficiency in communications. However, some are of poor quality, and we need pictures to ask and give advice between staff and with partner organizations. We need to be able to reach out when problems arise, and being able to snap a shot out in the field makes a huge difference. 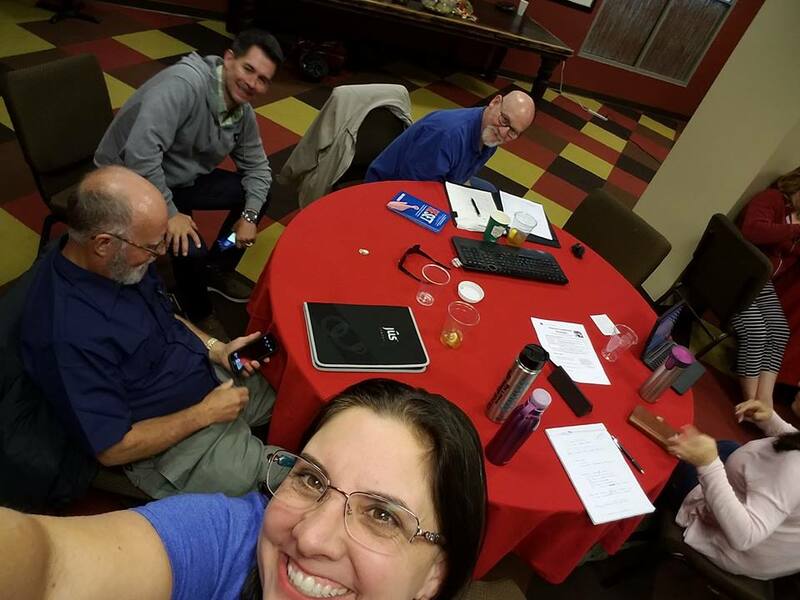 Now, more than ever, as our Semilla Nueva team grows, we need to stay connected as we travel across the southern coast and throughout Guatemala. If you have a working laptop of unlocked smartphone with a quality camera that you are no longer using, we could really use those, too! 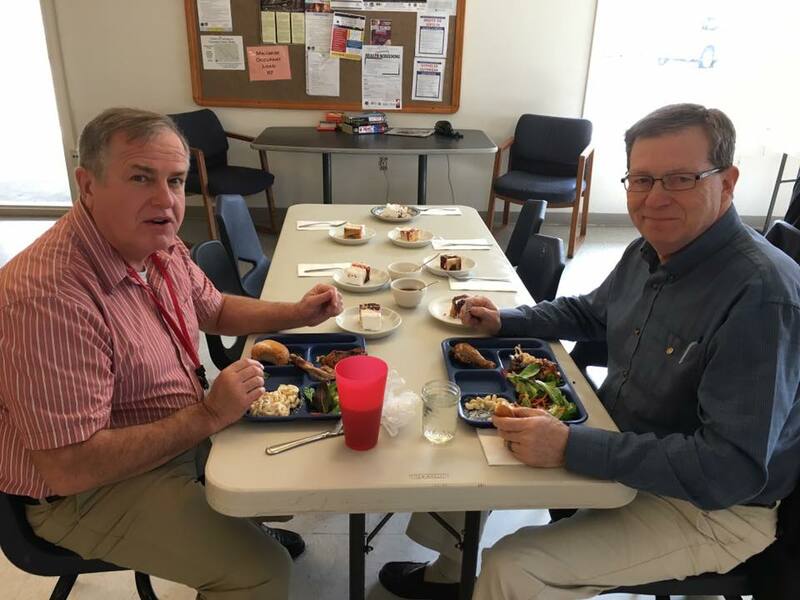 Email Eve Dolkart at outreach@semillanueva.org or call 802-777-4146 so we can coordinate pick up in exchange for a well-earned tax credit for your donation. 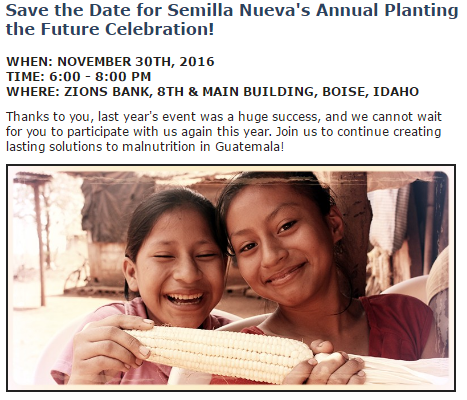 Want to receive updates on Semilla Nueva? Sign up for our newsletter, and find us on Facebook or Twitter! AFTER-HOURS ROTARY FELLOWSHIP - PLEASE JOIN US! 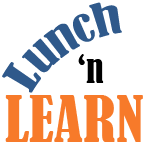 Thank you to Nichols Accounting for being our August sponsor! Jennifer Deroin will be hosting an After-Hours Fellowship at their new office building on Wednesday, August 30th, from 4:00 pm to 6:00 pm. Their new building is located at 6075 Hunt Ave. in Nampa. Stop in and visit with Jennifer and your fellow Rotarians! 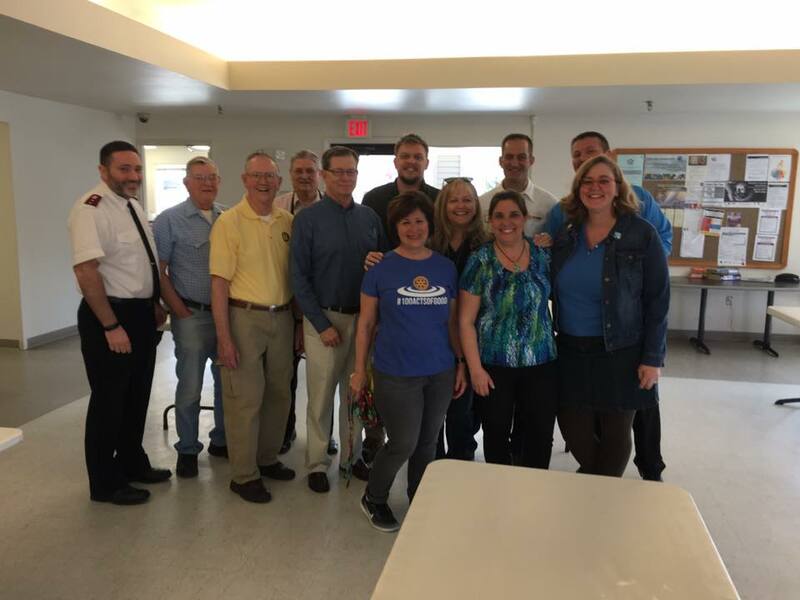 Nampa Rotarians gathered at Hope House last Tuesday night to see a recently completed playground, eat with students and tour the facility. Rotarians also made a donation of $5,000 for a future youth-oriented project. The donation comes from Rotary's annual Golf for Hope event that was held earlier this year. 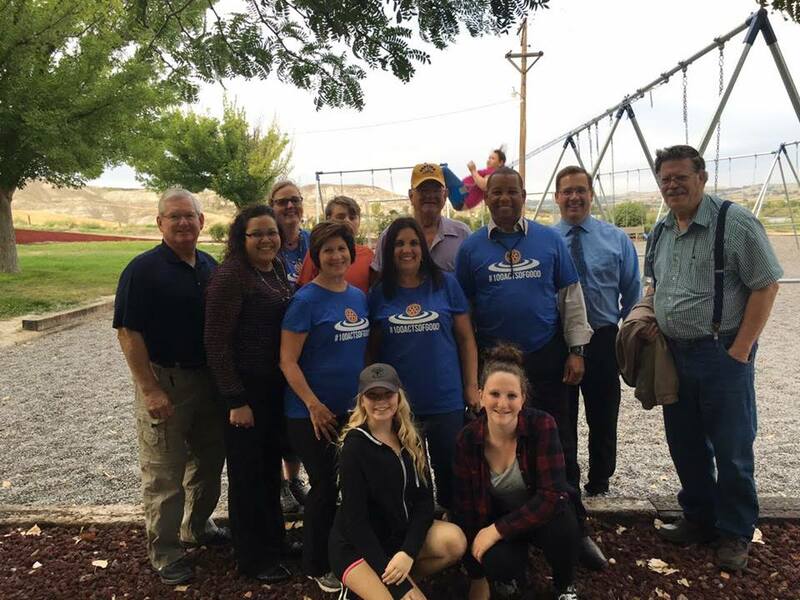 A year ago, the home for unwanted children received a $10,000 donation from the Nampa Rotary Club (raised in 2014 and 2015) to help with the construction of a new playground named "Peaceful Point." Total cost of the playground was $22,000 and several contributions above and beyond Rotary's donation provided the funds to build the wheelchair accessible playground. Hope House supports 67 students with 42 students living on campus. Hope House founder DonnaLee Velvick said the playground is a place for kids to find tranquility and relax, a place to sit, reflect, to play ... a place to have an opportunity to have a private moment in a loud kid environment. GET 300 FOUNDATION RECOGNITION POINTS!! Sign up on line at www.rotary.org or complete a form at your seminar and give it to PDG Marianne. Won't you join us for a Foundation seminar and help us meet our goal of 100 new Rotary Direct participants in this centennial year of The Rotary Foundation. Please register for the seminar of your choice at www.rotary5400.org. 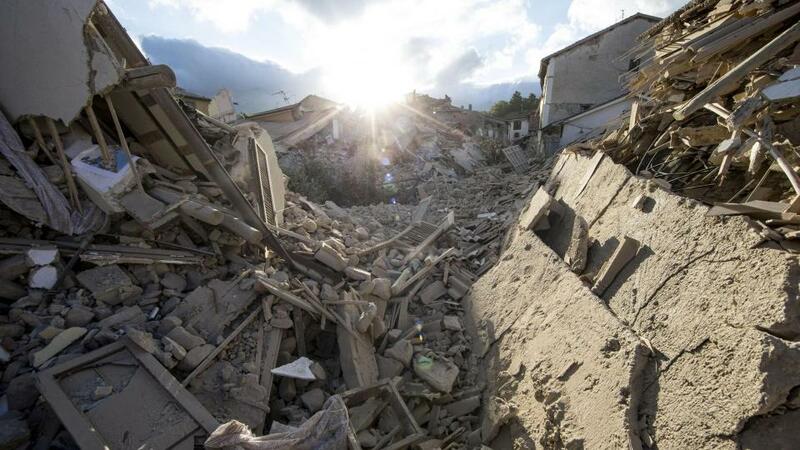 I'm looking forward to seeing you in Pocatello, Boise or Twin Falls - Rotary Serving Humanity! 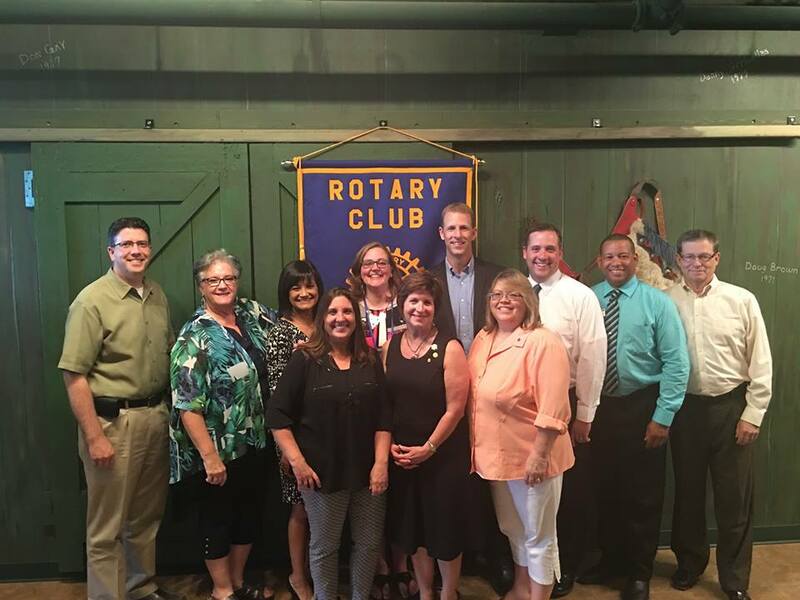 This week at #Rotary, Ron Price received his Paul Harris Fellow+1 and we heard from the RYLA students, Traynor Underwood, Katy Barrett and Jazzy Bradley. They told us about their excellent time at camp this past summer, which included a ropes course, leadership skills building and a lot of lifetime friendships and wonderful memories made. Greetings my fellow Rotarians! 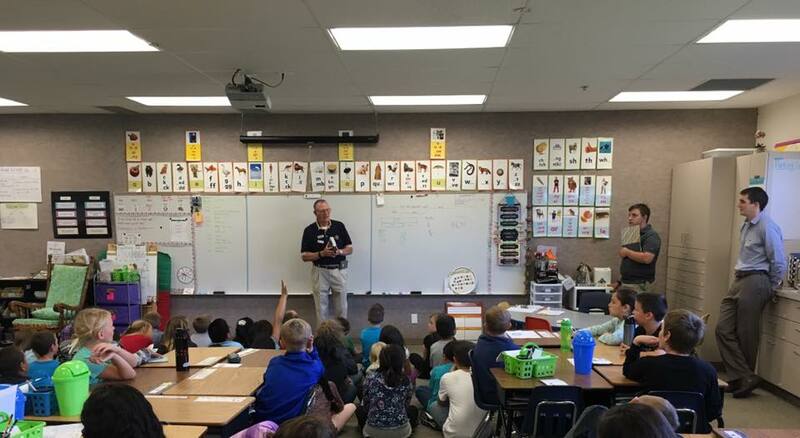 We have received the shipment of dictionaries for our annual Dictionary Project where we provide a dictionary to every 3rd grader in the Nampa School District. This is a fun and exciting project for our club as we get to go out into our community's schools and engage with the kids, while providing them with a tool that can enhance their learning for the new school year. The project is a great way for member involvement in a few different ways AND it will take all of us participating to complete as we have over 1,500 dictionaries to deliver. #1 - WE NEED VOLUNTEERS TO HELP PUT ROTARY LABELS IN ALL 1500+ DICTIONARIES TO PREP FOR DELIVERY. BOOKS ARE BEING STORED AT THE NAMPA LIBRARY. WE ARE ASKING ANY/ALL OF YOU AT YOUR CONVENIENCE TO SPEND WHAT AVAILABLE TIME YOU ARE WILLING TO DONATE TO HELP COMPLETE THIS FIRST STEP IN THE PROJECT. Library closed Monday, September 5th. Check in at the Borrower Services desk and ask for Theresa, Ezequiel, or Mike to let them into the bus garage. - A table is set up with the sticker labels and boxes. -Place labeled books back in boxes when completed. When volunteers finish their shift, please have them notify library staff. Once completed we will send out a follow up to register for delivering these throughout the community. Thank you for your participation and support in this project. Any questions, please feel free to reach out to Dan Walters or Lynne Caba. Play Ground Dedication & BBQ: We will join together with the Hope House kids and staff for a BBQ, playground dedication and to perform an Act of Good by cheering the kids on at their game. Wear your 100 Acts of Good t-shirt! 5:30 pm Meet at K-Mart Parking Lot off Karcher Rd. to car-pool to Hope House. Click below to register yourself and a guest for the Hope House BBQ & Playground Dedication. Member meals will be paid by the club. Guest meals will cost $11.00. You can pay with cash or check at the event. What is Rotary? Check this out! Rotary's member benefits program gives Rotary and Rotaract club members access to discounts on a variety of products and services selected with their interests in mind. Rotary Global Rewards offers discounts on vehicle rentals, hotels, dining, and entertainment. Products and services from companies around the world are being added every week. Check back often to see what’s new in Rotary Global Rewards. Tell us how you've benefited from Rotary Global Rewards. Share your #rotarystory on social media or email us at rotaryglobalrewards@rotary.org. Anyone can view the offers and discounts on Rotary Global Rewards. But onlyRotary and Rotaract club members who are signed in to their My Rotary accounts can redeem them. You can access and redeem rewards from your computer, smartphone, or tablet. Rotaractors must be in our records to redeem or add offers on Rotary Global Rewards. If after signing in to your My Rotary account, you are unable to use Rotary Global Rewards, send your Rotaract club name and membership start date todata@rotary.org using your My Rotary sign-in email so we can update your membership in our database. Please allow 3-5 business days for the change to take effect. If you need help creating a My Rotary account, review the How to create a My Rotary account quick guide (PDF). Rotary and Rotaract club members can now offer discounts on products and services from their own businesses. You can choose to make your offer available to people in your community, your region, or around the world. After signing in to your My Rotary account, select the Create a New Offer tab on Rotary Global Rewards. Need more help? Refer to How to create an offer (PDF). Rotary members, their families and friends can support Rotary’s work by bidding on antiques, artwork, jewelry, and collectibles through eBay Live Auctions events. Each month, Rotary will promote on its social media outlets a set of upcoming Live Auctions events, and eBay, the world’s largest auction website, will donate a portion of all sale proceeds from those events to Rotary. Live Auctions events enable buyers to participate in auctions across the United States — held at such auction houses as Sotheby’s, Swann, and Freeman’s — without leaving home. Under this proceeds-sharing agreement, only U.S. auction sales are eligible. Save the date for the fall Rotary Foundation seminar in your region: Sept. 10 in Pocatello, Sept. 24 in Boise and Oct. 15 in Twin Falls. 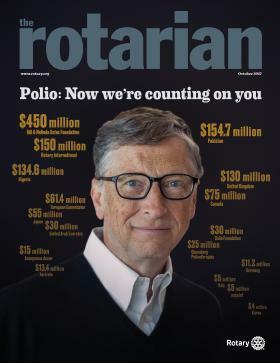 Learn about Annual Fund-SHARE and the effort to eradicate polio. Learn about reporting requirements for district grants and hear the stories of Rotarians working throughout the world on global grant projects. Is there something in particular you’d like us to include? Let me know: mb@mariannebarker.com. In 1967, Fred and Dottie moved to Nampa, Idaho, where Fred found his life's work, becoming owner and CEO of Graybill Wholesale Co. In Idaho, Fred and his family spent many happy days hiking or backpacking deep in the backcountry, fishing Idaho's bountiful trout streams, cross-country skiing with friends, and hunting for Idaho's astounding variety of small game. 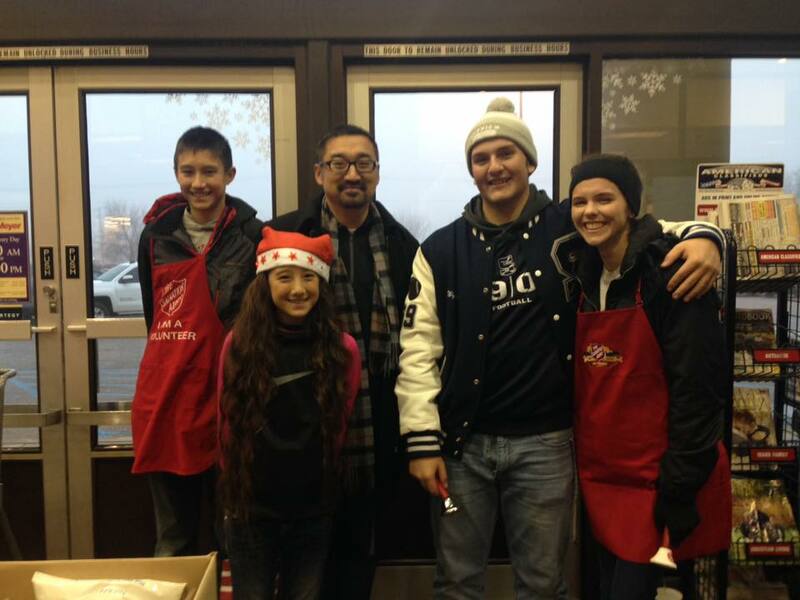 In Nampa, Fred became a pillar of the community. As a proud Rotarian for more than 50 years, Fred led the Nampa Rotary's efforts to save the City's beautiful Union Pacific passenger depot, which now houses the Canyon County Historical Museum. 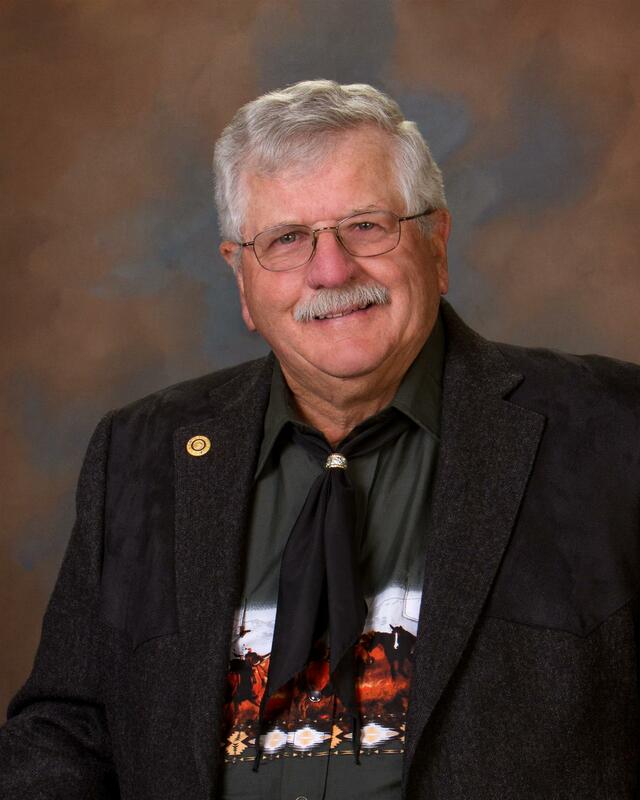 Fred also founded and served as President of the Canyon Sunrise Rotary Club, where he always proudly wore the pin marking him as a Paul Harris Fellow. A memorial service will be held for Fred on August 18 at 4:00 p.m. at the First United Presbyterian Church, 400 Lake Lowell Avenue, Nampa. Fred's ashes will be committed to the Snake River during a reception at the Sunny Slope house, 20805 Lowell Road, on August 19 at 3 p.m. 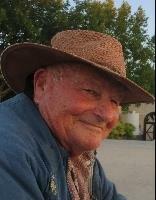 In lieu of flowers, the family requests donations in Fred's name to the Idaho Wildlife Federation (http://www.idahowildlife.org/), the Rotary Foundation (https://www.rotary.org/myrotary/en/rotary-foundation), or the Canyon County Historical Society. SUPPORT YOUR CLUB! COME AND LISTEN TO DISTRICT GOVERNOR JIM HOGGE! Let's show our District Governor what a GREAT club we have here in Nampa with a BIG turnout of members at our Tuesday lunch! Please plan to be at the lunch on Tuesday as we hear from District Governor, Jim Hogge! ARE YOU READING Your "THE ROTARIAN" Magazine? Are you reading your "the rotarian" magazine? It is full of great information and articles! You can also view it online at the link below. Check it out! 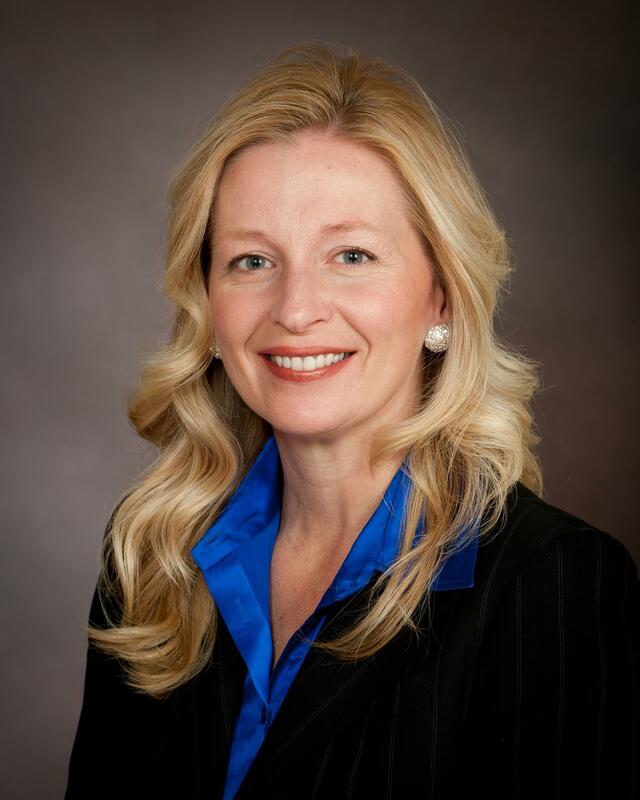 Click here for a video message from our President Rhea Allen! 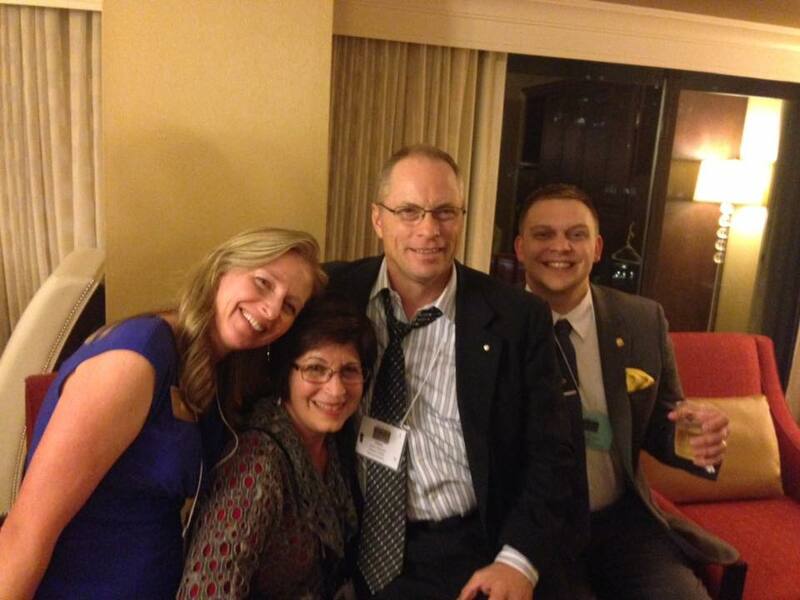 Becoming a Paul Harris Fellow is an honor to Rotarians. 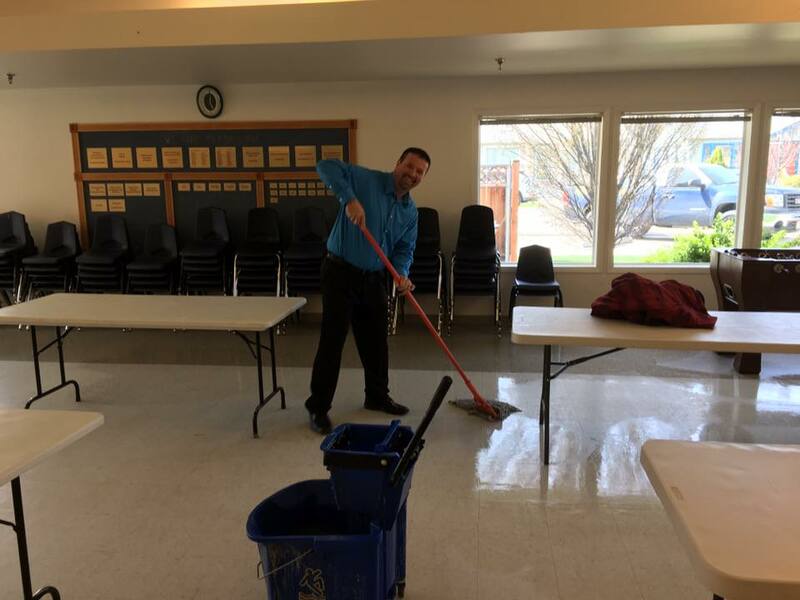 Frank Lara has accumulated an abundance of Paul Harris Fellow points and has generously offered to transfer some of his extra points to a Nampa Rotary member or members who are working towards becoming a Paul Harris Fellow. Email Frank at flara@mac.com and let him know what your needs are. He may be able to assist you. Thank you, Frank, for your kindness!! WHAT'S HAPPENING WITH OUR NEIGHBOR CLUBS? 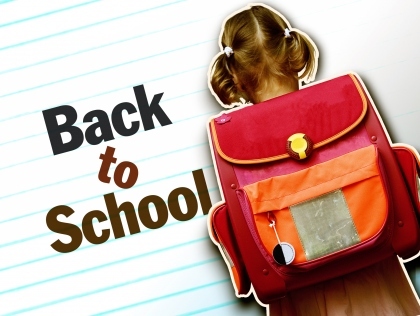 REMEMBER TO BRING SCHOOL SUPPLIES TO OUR LUNCH MEETING THIS TUESDAY!! DON'T FORGET: Tuesday meeting will be off-site for a Lunch N Learn! Many influences are driving workers to stay employed longer and the pace of change is causing a wider and wider gap between the generations. Do generations see things differently or the same and how is one to be effective in this diverse work environment. Andy Fujimoto, CEO of AmeriBen/IEC Group, has sifted through his experiences and study to call out the generations as they really are. The Dictionaries have been Delivered! 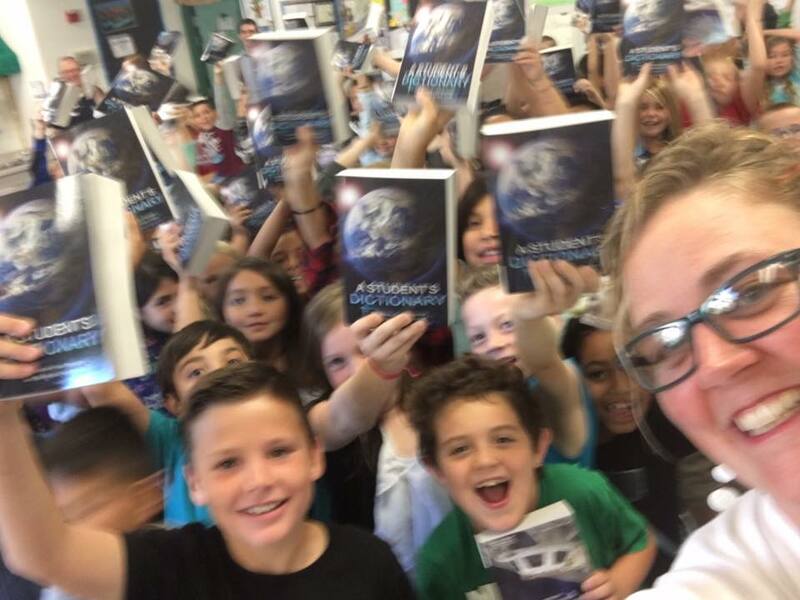 We have delivered over 3,000 dictionaries to 3rd and 4th graders. 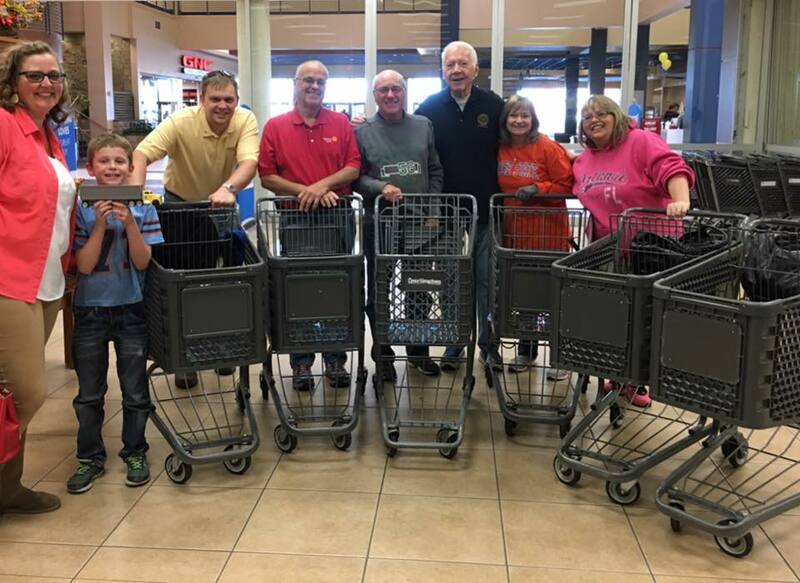 A huge thank you to 28 Rotarians who took the time to make this happen. A special thanks to Lynne Caba and Dan Walters for coordinating this effort! The teachers and students seemed very excited to receive the dictionaries so soon in the school year. 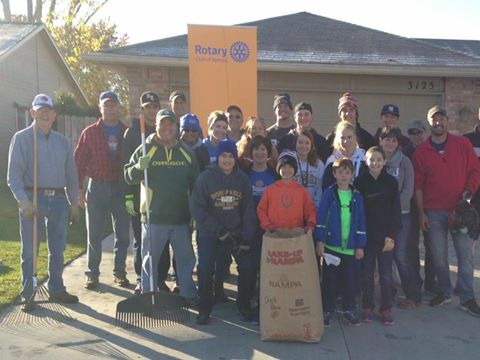 Well done Rotarians! 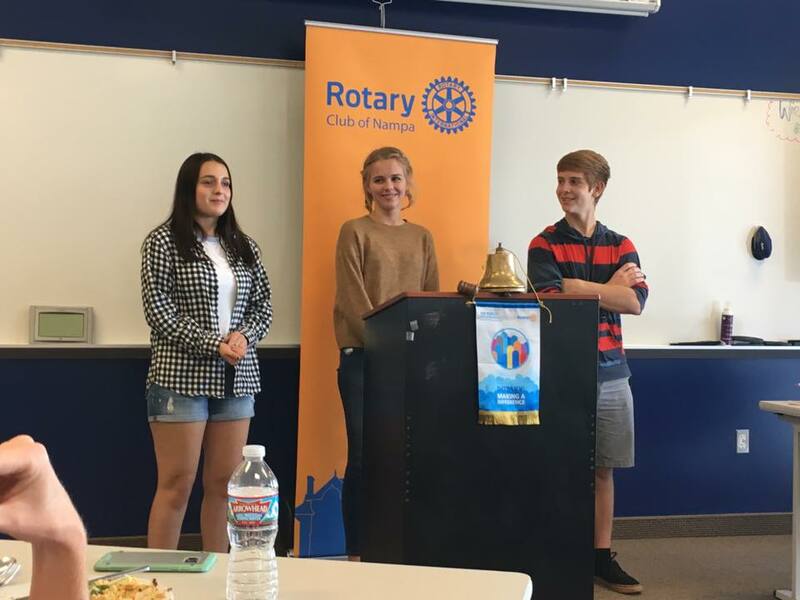 Announcing an upcoming trip to Cote d’Ivoire, West Africa in November 2015 to participate in a polio immunization exercise, attend the 10th Annual West Africa Project Fair, and engage in a hands-on work project. Attached is detailed trip information. We have a limited amount of space and expect this trip to be filled in the next week or two. 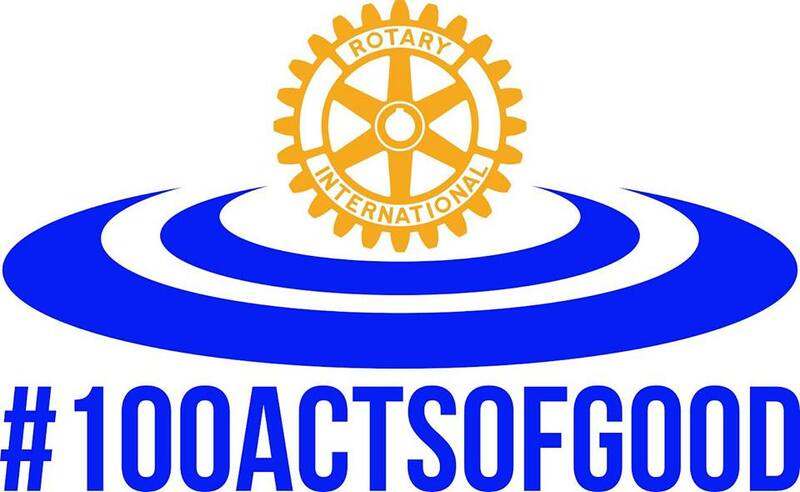 In November 2015, North American Rotarians will travel to Abidjan, Cote d’Ivoire, for a life changing experience. Have you ever heard a Rotarian speak about their personal experience participating in a polio eradication exercise, a cleft lip/cleft palate mission, or work on a humanitarian grant? These trips have a profound effect upon the individual. For those of you who have gone on one of these trips you know, and for those of you who have yet to enjoy this experience, you should. Rodrigo Andres Moya Krstulovic from Santiago, Chile has arrived and will be attending Victory Charter School. He will be visiting our club soon to introduce himself to each of you. We are excited to have Rodrigo this year and help him as he learns about Idaho and the USA! 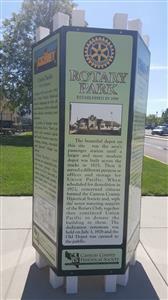 Thank you to Canyon County Historical Society for dedicating Rotary Park and recognizing the significant role that Rotary had in both the preservation of the Train Depot and the start of the Canyon County Historical Society. 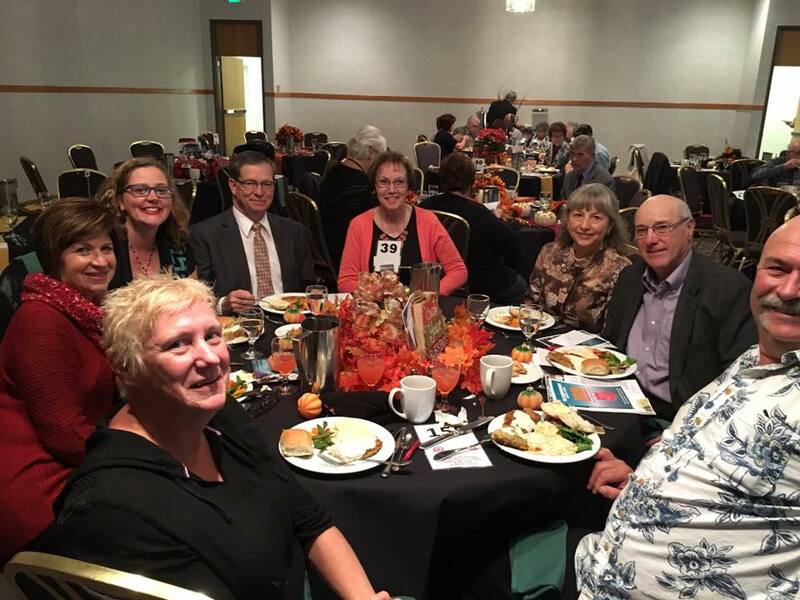 Sincere appreciation to all Nampa and Canyon County Sunrise Rotarians who came to witness the story, history and legacy on Saturday. Special thanks to District Governor, Ken Howell who took the time to join us and speak a few words about Rotary's commitment to "service above self". If you have the time, stop by the Depot, take a moment to read the monument in the park. It is worth your time! A huge thank you to all the sponsors, players, & volunteers who made our 26th Annual Golf 4 Hope a great success. 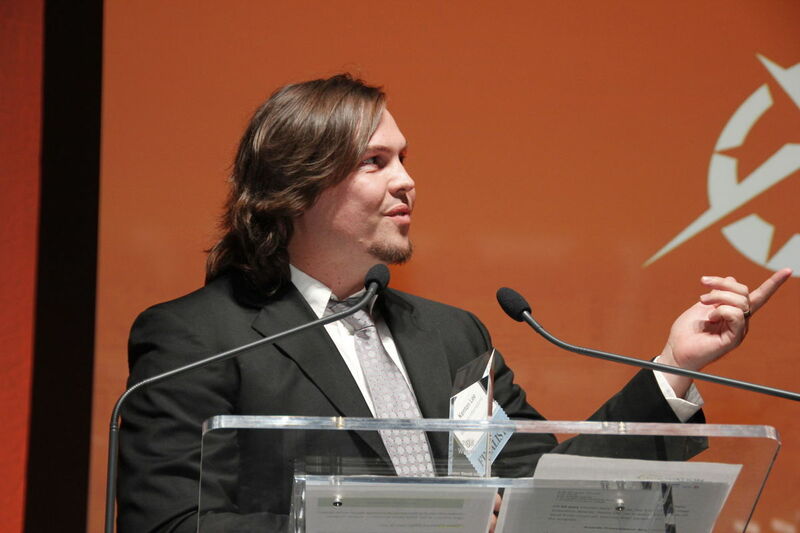 Thank you to Dan Walters for taking the lead again this year and continuing the legacy of our signature event! Great team effort! Nampa Rotary Annual Family Picnic Thank you! Thank you to Honey Goodman and Brad Beckwith for organizing a great Family Picnic last Tuesday! We had a wonderful time with games and fellowship at Rotary Shelter at Liberty Park!